When it comes to Star Wars spoilers, Mark Hamill has recently become a beacon of light, warning us about what to avoid so that our viewing of Star Wars: The Last Jedi will not be ruined come December. Now Luke Skywalker himself has taken to twitter to warn fans to avoid a certain comic book before The Last Jedi premieres in theaters. The book in question is Star Wars #49 by Mike Barr, Walt Simonson, Tom Palmer, Christie Scheele, Don Warfield, and Shelly Leferman. It was originally released WAY back in April 1981 and takes place after the Star Wars: The Empire Strikes Back. This is clearly a case of Hamill giving a little misdirection because it's very unlikely that this book actually spoils anything, at least I hope not. The comic deals with a damaged alien named Jedidiah who had the potential to become a Jedi Knight. Jedidiah accompanied his friend, the prince of the planet Velmor and heir to the throne. Luke and Leia must return Jedidiah and the prince to their home planet before another is coronated, one who sympathizes with the Empire. Jedidiah sacrifices himself to save Luke Skywalker. 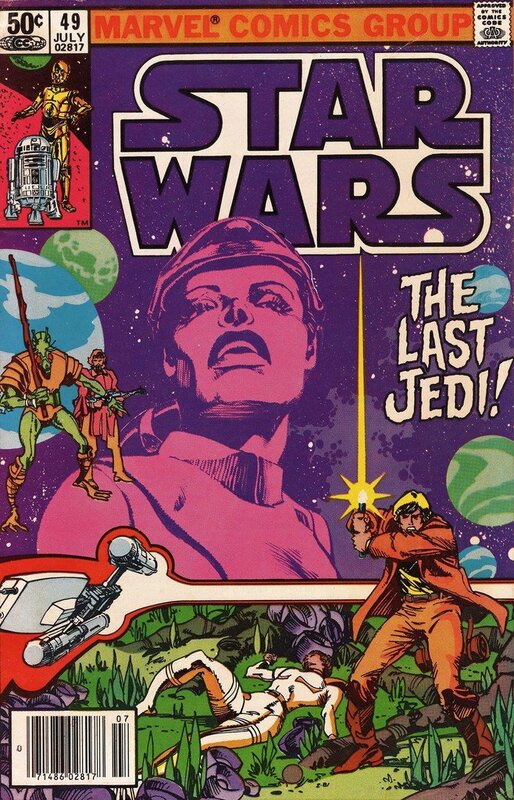 Though a lot of plot details have been kept under wraps for Star Wars: The Last Jedi, the movie better NOT be anything like that comic book or Jedidiah could very well be the next Jar Jar Binks. And if it does end up being similar or spoils the movie, don’t say Mark Hamill never warned you! Star Wars: The Last Jedi opens in theaters December 15.